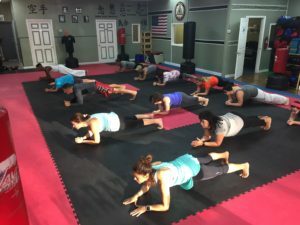 Lugo’s Martial Arts & Wellness offers KickFit which is a 45 minute full body workout with cardio and strength training stations. These classes will fit your schedule with a jump in, jump out session. A coach is present to help maximize your training. All fitness levels are welcome!